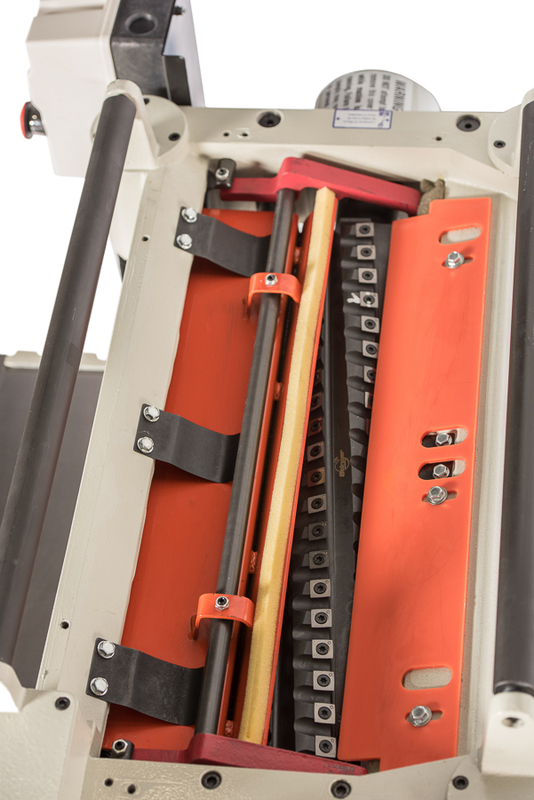 The Scorpion CWI-P0520HC is exactly the same machine as the CWI-P0520 except we have added the superior cutting performance of the Stinger 5 row carbide helical cutter head. 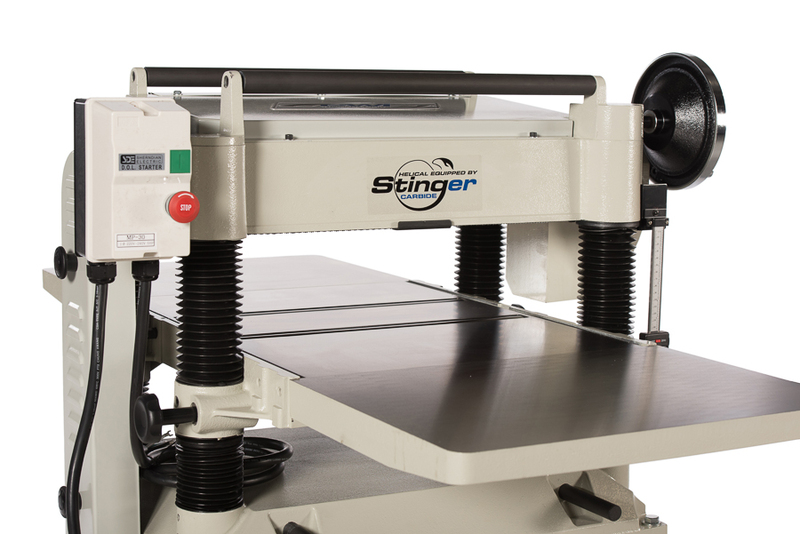 The Stinger head has 100 four sided convex edge carbide knives set on a shear angle. The 5 rows of knives provide more knife cuts per inch, better overlap of the knives for less knife marks in the wood and virtually zero tear out even on the most difficult to thickness woods. 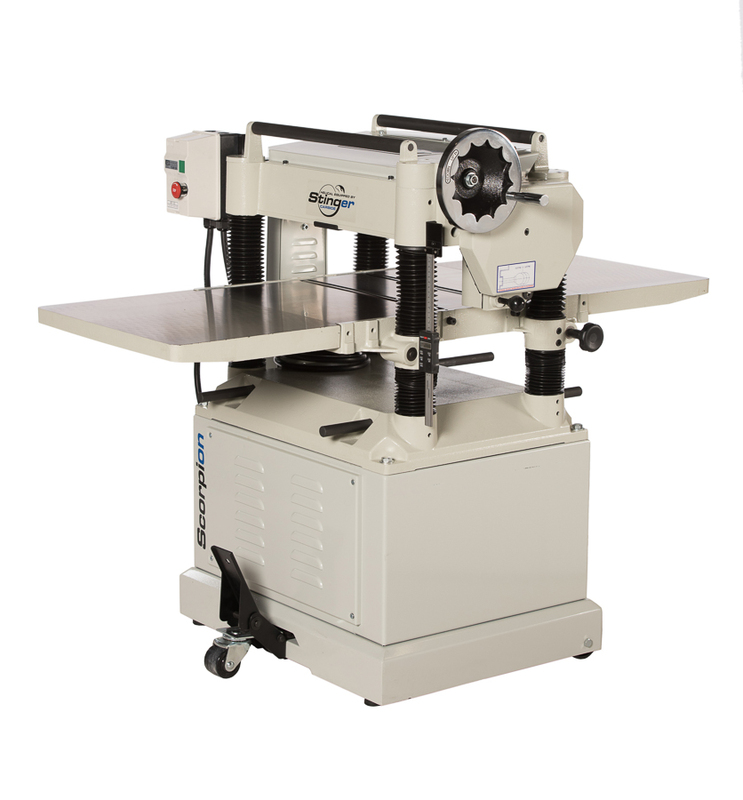 The CWI-P0520HC 20” helical thickness planer is a very good quality machine built as an economical option for customers needing good power and width capacity but not a huge production requirement. 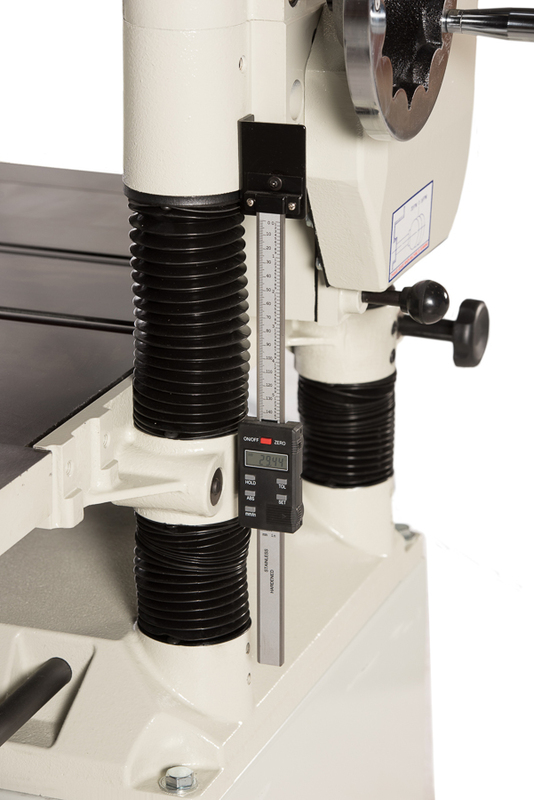 The P0520HC comes standard with a single phase power 5 HP 220/1/60 motor and will machine lumber at up to 1/8” at each pass. There are a total of 100 of the 15mm x 15mm x 2.5mm square four sided convex edge carbide knives on this 20” Stinger 5 row cutter head. When an edge of a knife gets dull or damaged simply remove the locking screw and rotate the knife to a new edge. We find under normal wear and tear customers will get one to two years of performance from each edge of knife. Our Stinger Carbide helical cutter heads are renowned for ease of maintenance, quality of cut, and sound levels so pleasant you almost forget the machine is running. The Scorpion P0520HC has two feed speeds of 16’ and 20’ per minute. There is a solid steel serrated infeed roller to ensure a very good grip to push lumber through the machine as well as a smooth surface solid steel outfeed roller. 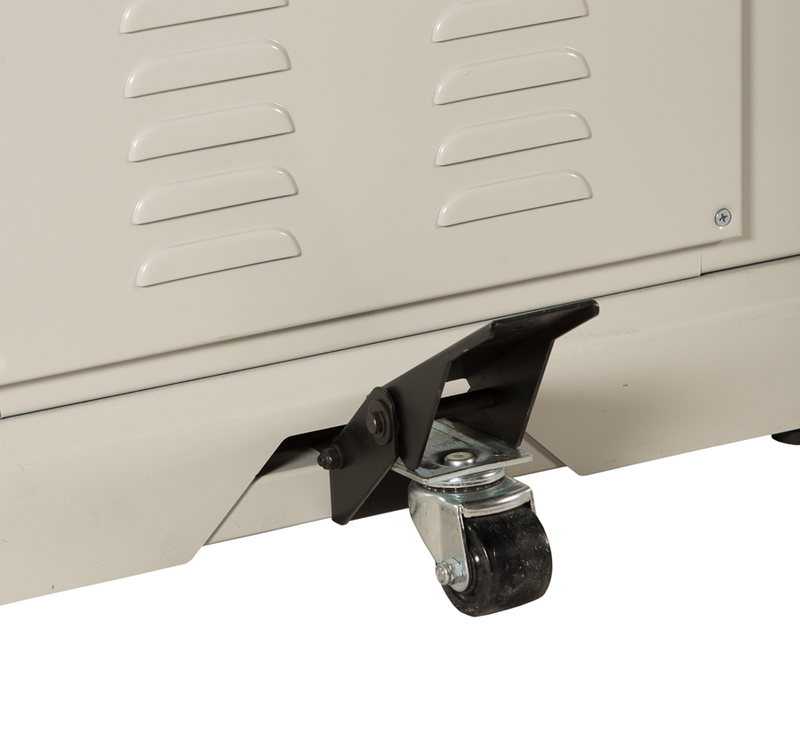 For added safety anti-kickback fingers are present in front of the infeed roller. Many machines in this size range use rubber outfeed rollers which do not last as well as solid steel. The Scorpion precision ground cast iron table is 20” x 55.5” of surface area which includes two bolt on cast iron extensions for extremely good work piece support. The table is supported by four solid columns with chain driven jack screws for excellent precision and height adjustment. On the surface of the table are two adjustable table rollers to help the feeding of rough lumber. The cast iron table can manually be height adjusted with an oversized 8” diameter hand wheel for quick movement of the table between 1/8” and 8” thickness of the work piece. For excellent mobility around the shop a built in wheel system is in place. Simply step on the front lever and move the machine to its new resting place then release the lever again for a solid footing on the floor. 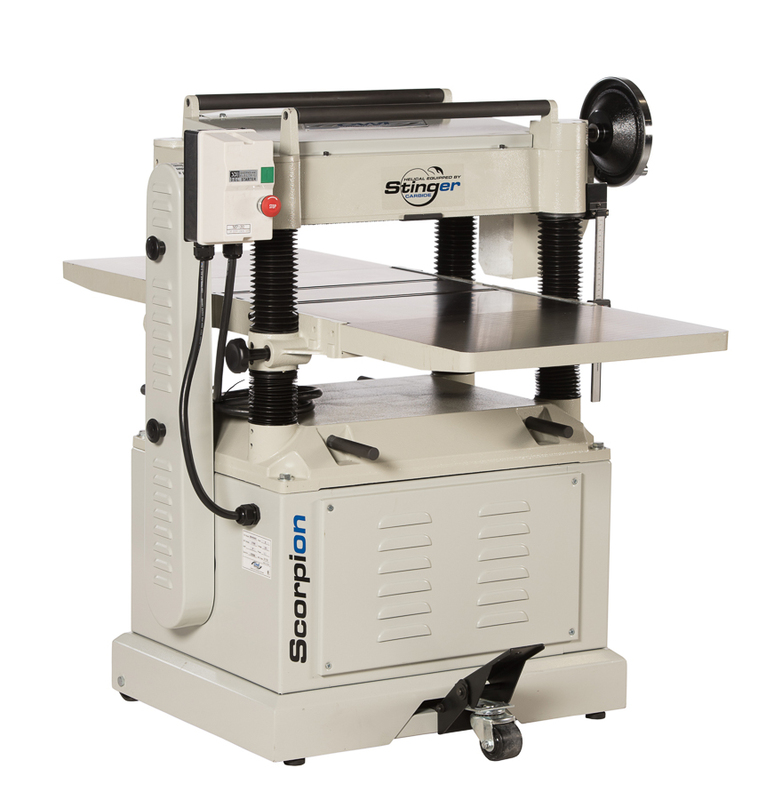 The Scorpion CWI-P0520HC 20” thickness planer is a heavy built machine at an affordable value with the quality and safety features needed for any home shop or commercial environment for years of use.